Living and recovering : MARCELA MORAGA M.
Between 2012 and 2014 I was developing an investigation and two art projects at the Gropiusstadt (Gropius city), Berlin. The Gropiusstadt is a kind of commuter town projected in a modernist style by Walter Gropius. It was built between the years 1962 and 1975. The landscape of the city was interesting for me. I see the order of the city like two contrary poles, on the one hand the extensive green areas and on the other hand the high cement buildings. They are like two parallel worlds that they not communicate. Besides, because of different reasons like some rules from the administration of the buildings, problems between old and young generations and especially because of the architecture height, the inhabitants don’t use at all the public spaces. 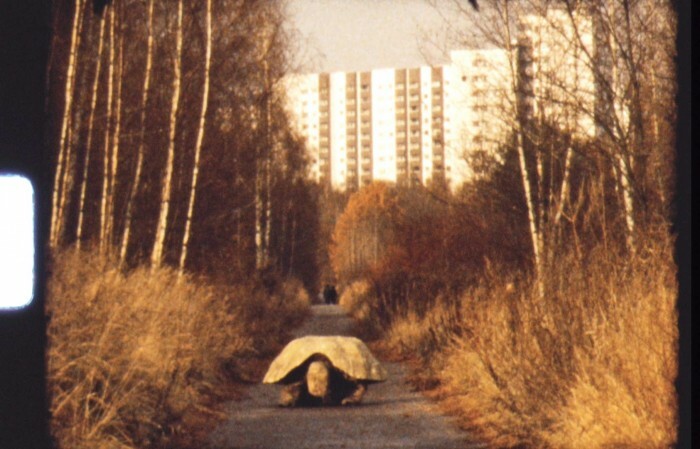 On the project “ Wohnen und sich erholen” I walk trough different streets and parks from the Gropius city, using a turtle shell over my back. I thought in a turtle, as an animal living form that landscape and house in its body integrates and carries its private life on the public. 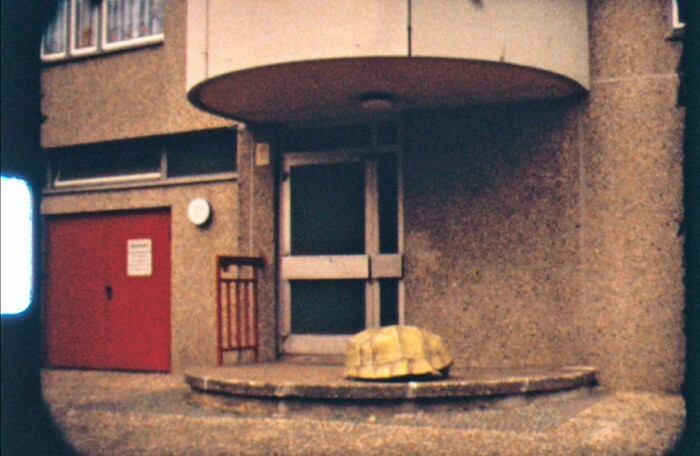 The project was shooting on Super 8 film because it is an amateur film format that many inhabitants was using during their first days stay at the Gropiusstadt.